John Carmichael graduated MA from the University in 1911. He was born in 1891 in Bradford, Pennsylvania, son of Neil Carmichael, a joiner. 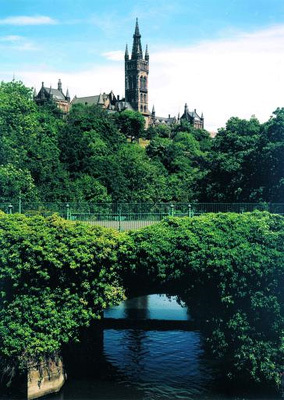 Carmichael first matriculated at the University in 1908, aged 17, to study an Arts course. During his three undergraduate years, he took classes in Greek, Mathematics, Logic, English Literature, History, Moral Philosophy, and English (Honours). He received the Dowanhill Prize of twenty pounds for Elocution and was an honorary student of Professor of Divinity Henry Reid. He graduated MA on 20 June 1911, and continued to pursue postgraduate studies in Theology. From 1911 to 1914, he studied such subjects as Hebrew (Junior and Senior), Divinity (First and Second Year), Church History (First and Third Year), Biblical Criticism (First and Second Year), and Ecclesiastical History (Second Year). After Carmichael left the University in 1914, he became a minister and lived in Appin for several years before moving to Holytown, Lanarkshire. In his later life Carmichael moved to the small island of Lismore, near Oban, where he died on 12 September 1969 at the age of 78.